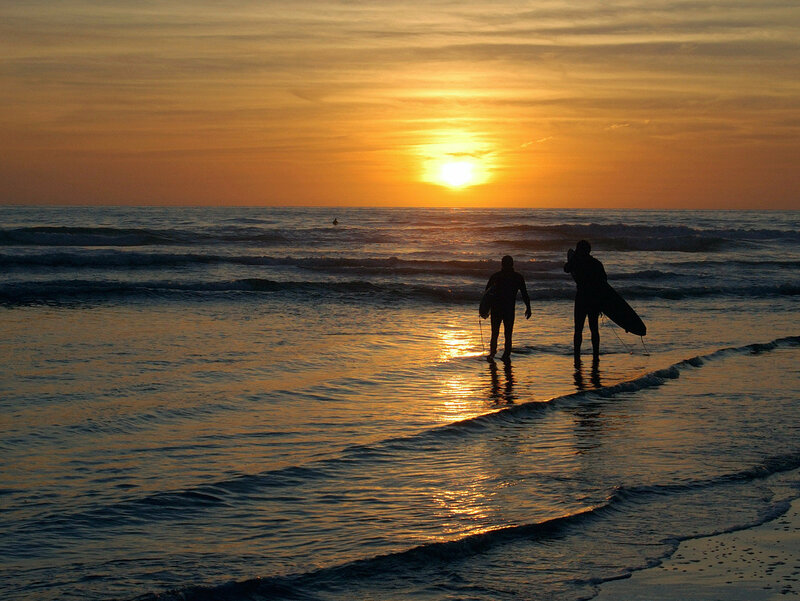 With its sprawling ranch land, energetic downtown districts and sparkling beachfront, this SoCal surf town has just as much sun and swagger as California’s first-tier cities. 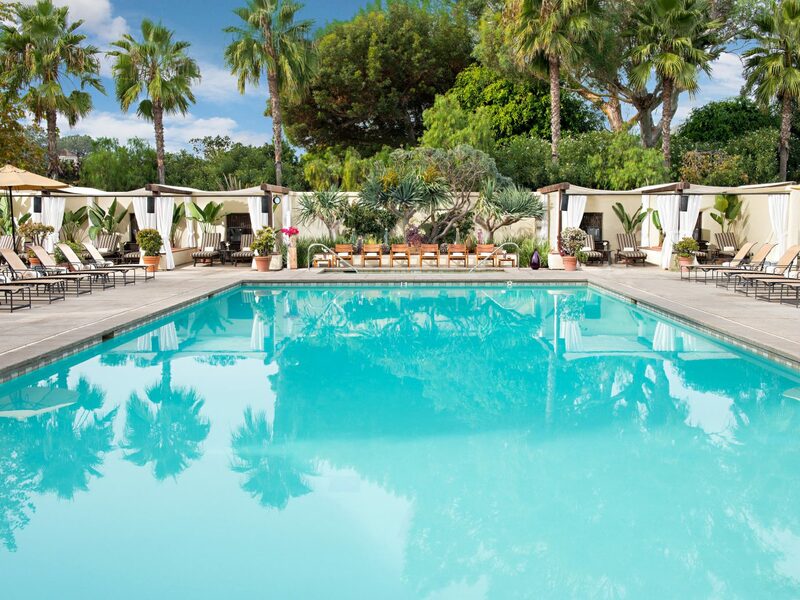 Here are the 8 best San Diego hotels from which to take it all in. 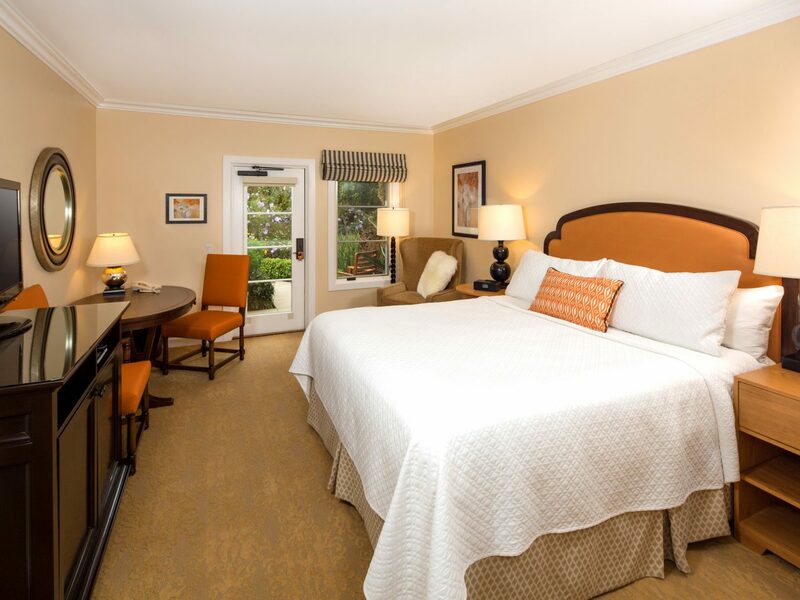 Head to the city’s outskirts and you’ll find this extensive 287-room “inn,” which offers everything you’d want from a countryside escape—acres of landscaped gardens and fountains, comfortable rooms featuring earthy accents (tan leather chairs; stone showers) and extra-large balconies and patios that overlook the 265-acre grounds. 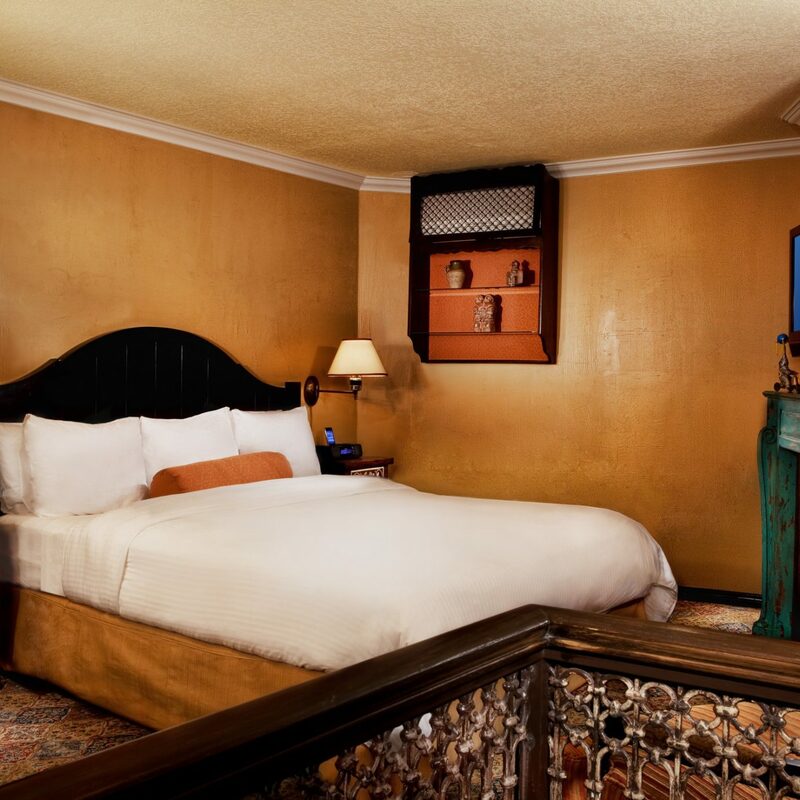 There's even a spa sanctuary where organic treatments are given in casita-style suites. 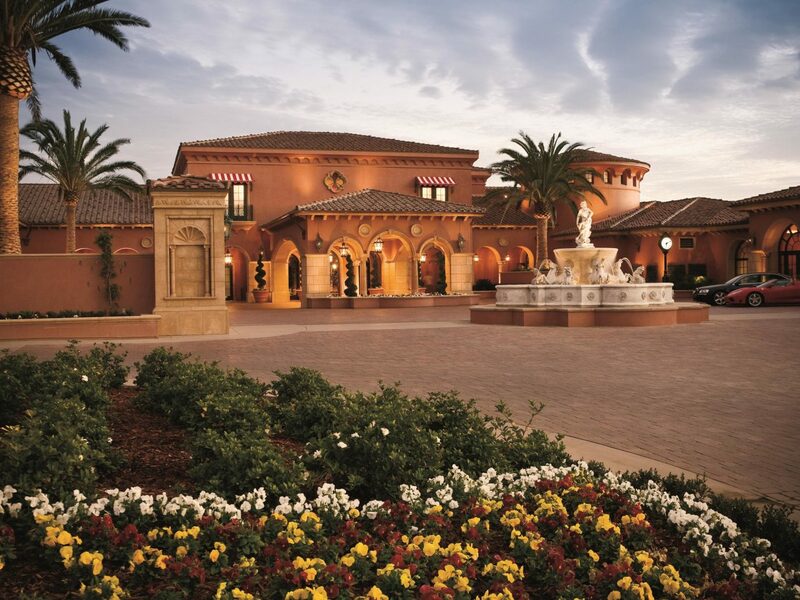 After working up an appetite on the championship golf course (or after hours spent relaxing at one of its three pools—we won’t judge), head to Verandah for California-inflected Mediterranean dishes like an ahi sandwich with pancetta and arugula or golden pear and arugula salad with candied pecans and champagne vinaigrette. 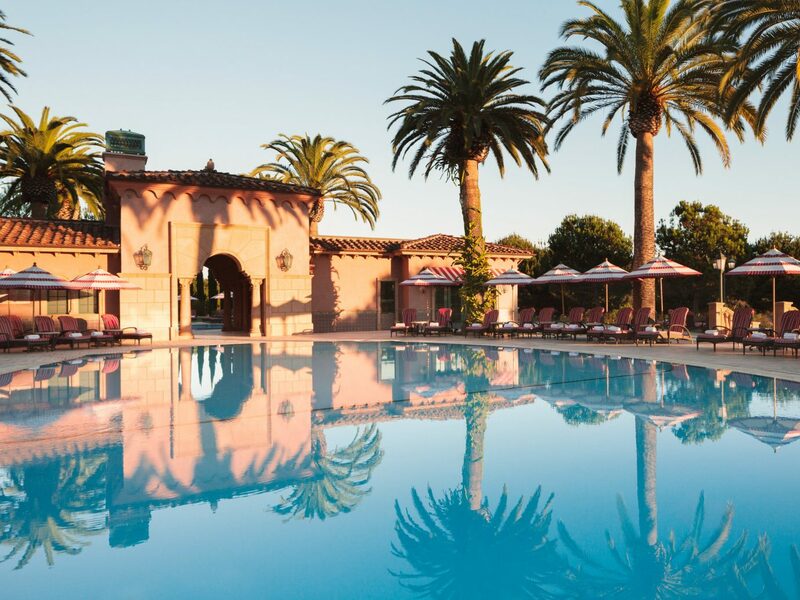 If you’re looking for luxury, this Spanish-Colonial-style Fairmont—the only five-star of its kind in San Diego on 380 hilly acres near Del Mar—is the perfect place to stay. 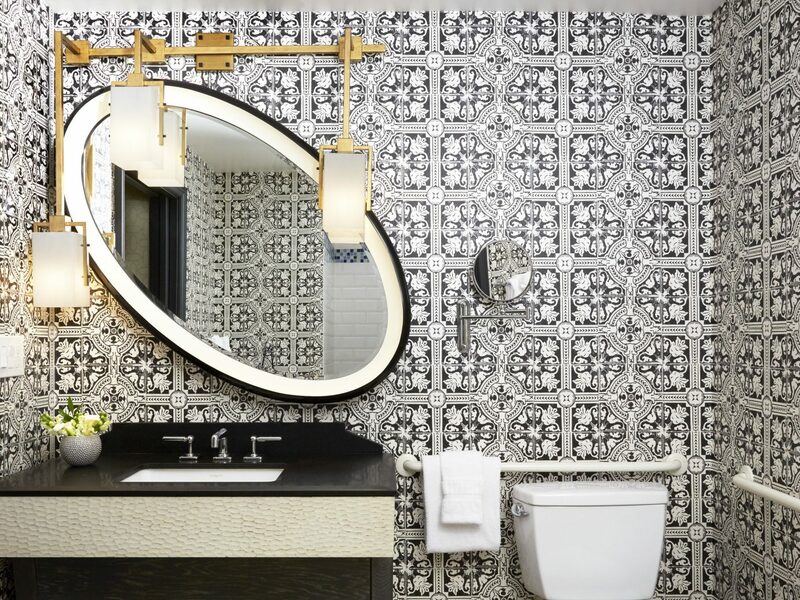 Guest rooms are palatial and old-world (if a bit dated) with marble bathrooms, silk curtains and hand-stenciled ceilings, and the amenities—a championship golf course, a 20,000-square-foot spa, six dining options including the five-star Addison—keep it at the top of the line. 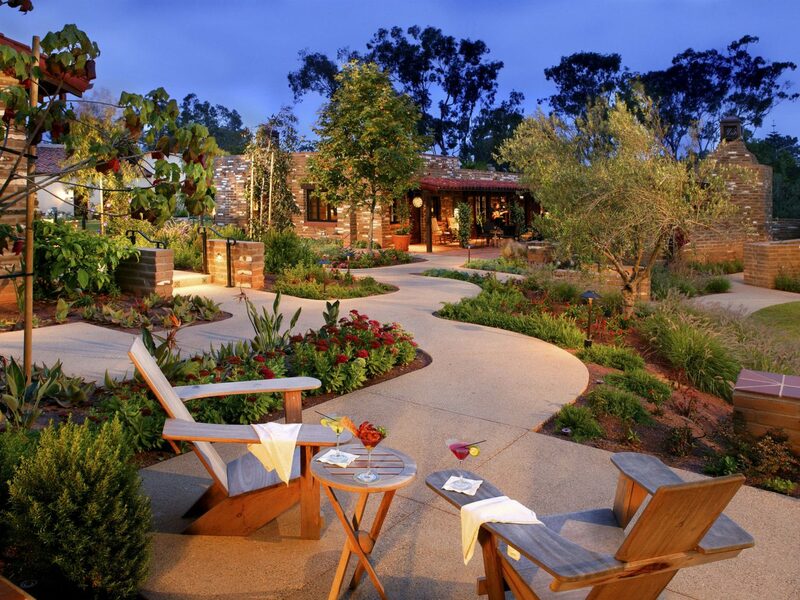 There are no ocean views to speak of, but you won’t miss them, thanks to the property’s four pools (one is adults only), private stables, and proximity to the Los Peñasquitos Canyon Preserve, where hikers and equestrians can explore hundreds of trails. 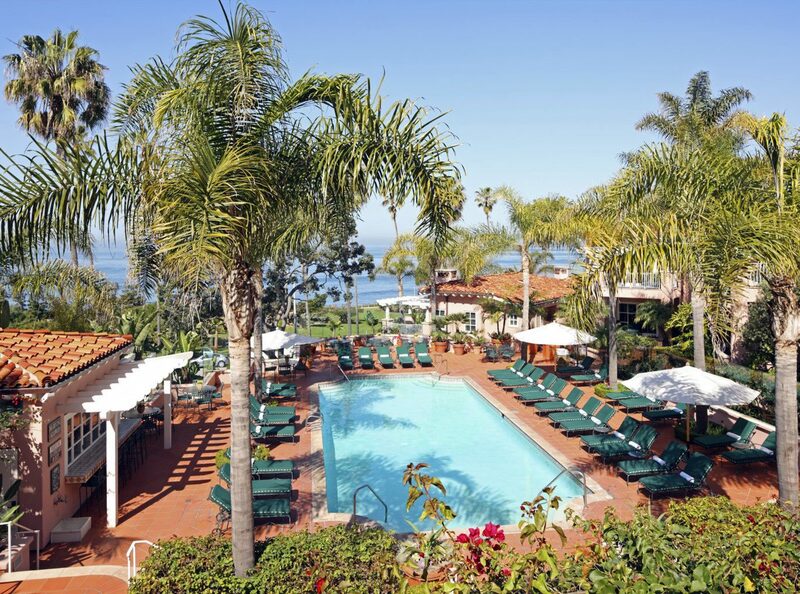 Still craving those water views? 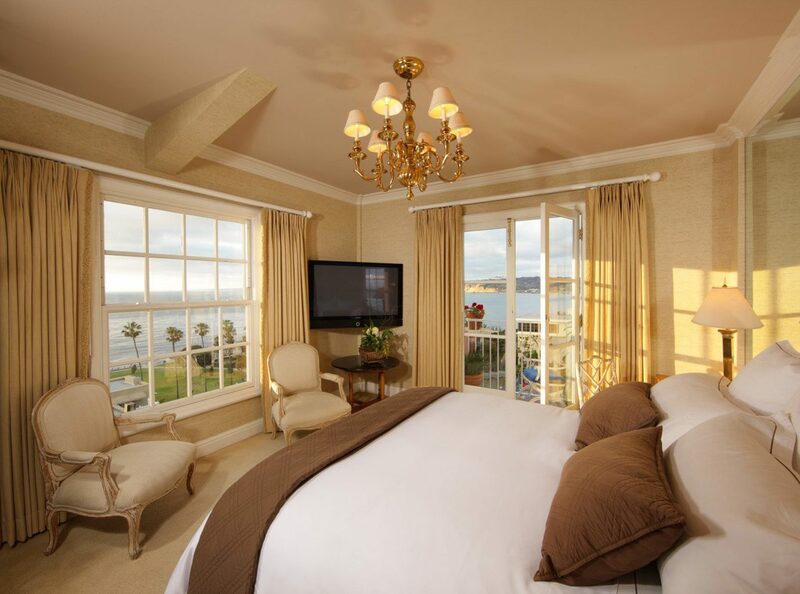 The hotel's car service in a Mercedes or Cadillac is available to whisk guests to the beach. 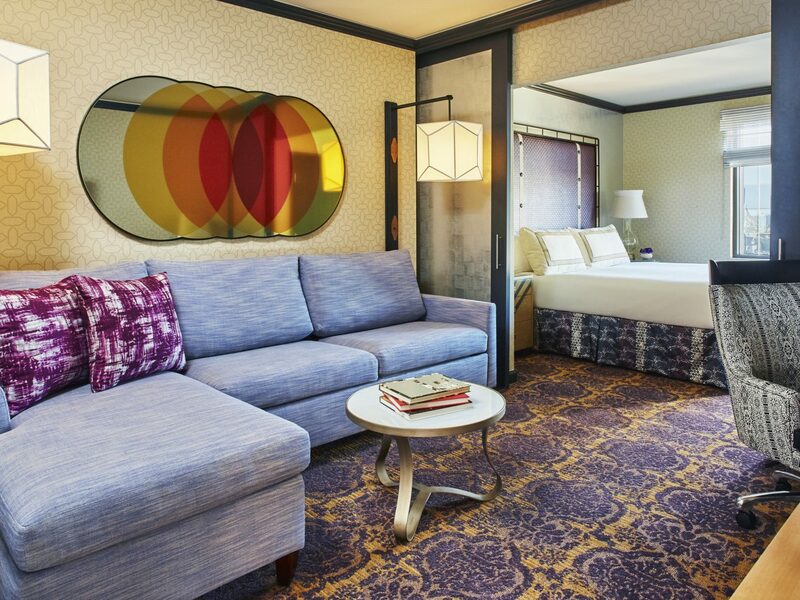 In classic Kimpton style, the chic-and-modern Solamar brings a playful, urban spin to downtown San Diego. 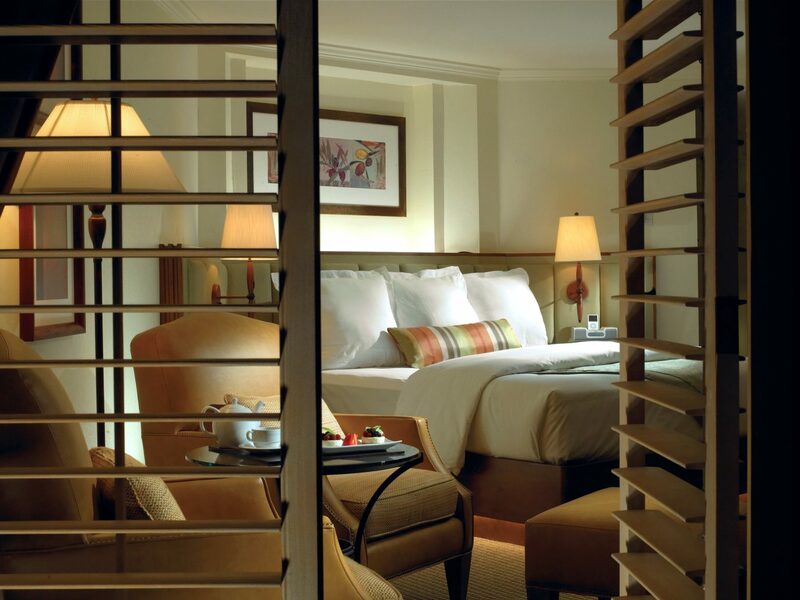 Rooms are spacious, with modern bathrooms, cushy beds, and pops of blues and browns. 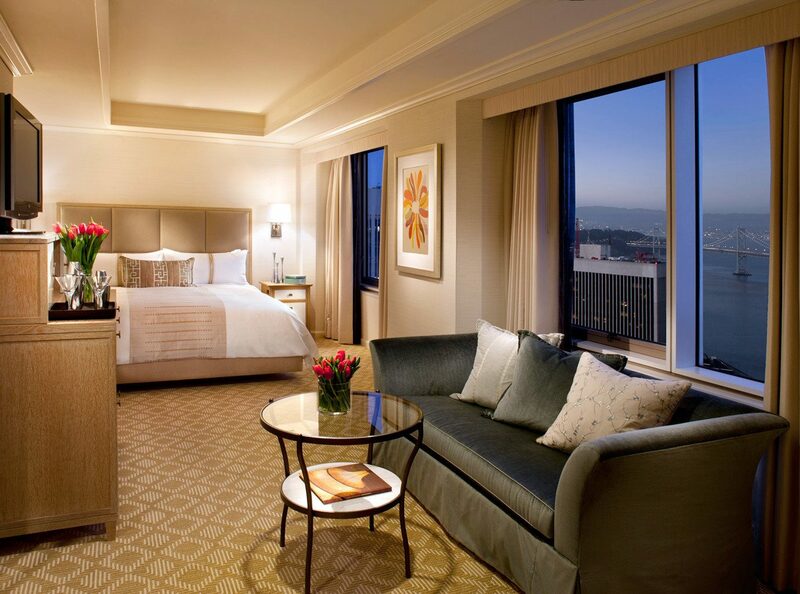 Take your pick among restaurants, be it Jsix for coastal California cuisine or the fourth-floor rooftop pool terrace for drinks and small bites with skyline and bay views. 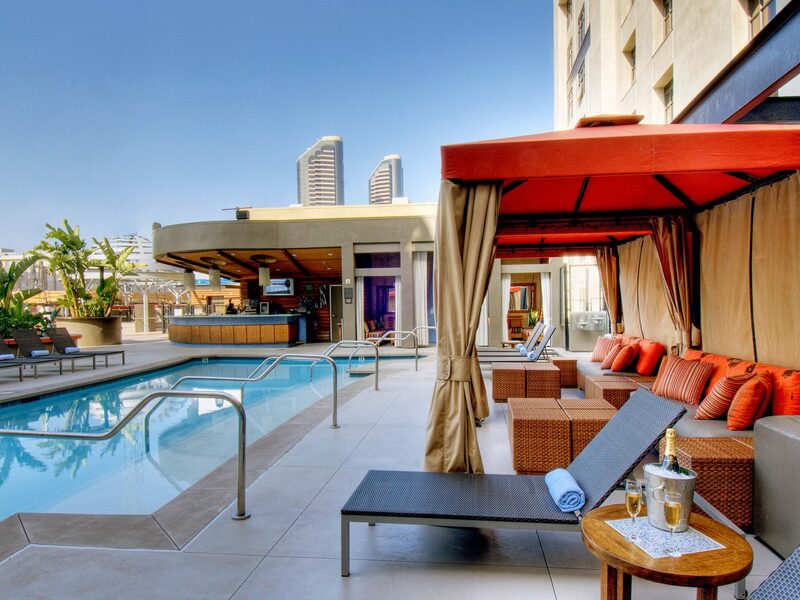 Included in your rate: WiFi, nightly happy hour, bike rentals, yoga classes on the pool deck—and an unbeatable location near the baseball stadium and booming Gaslamp quarter, brimming with restaurants and bars. This 1800s former horse ranch on a rolling 10-acre estate still honors San Diego’s rancho roots—albeit with far more creature comforts. 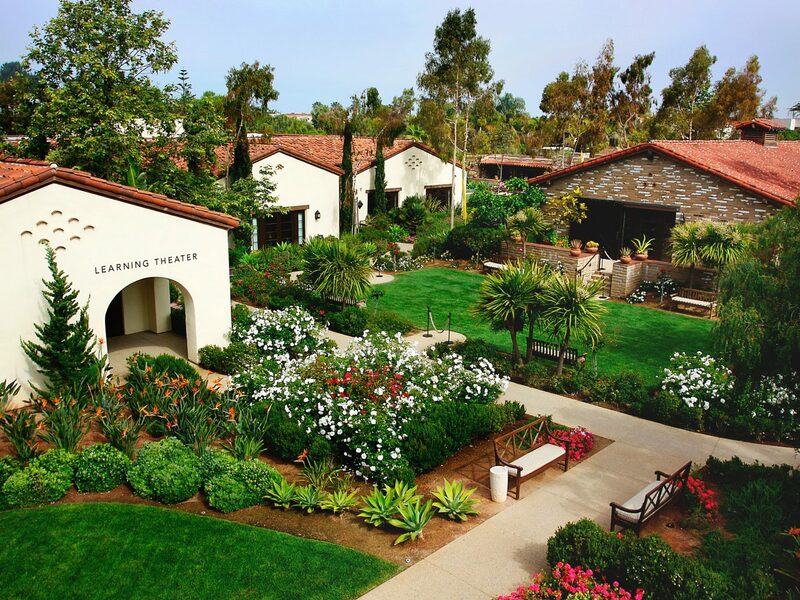 Its Spanish Mission-style buildings surround various courtyards, with bright and airy guest rooms featuring faux Mexican antiques and outdoor fireplaces surrounded by lemon trees and rosemary and sage. 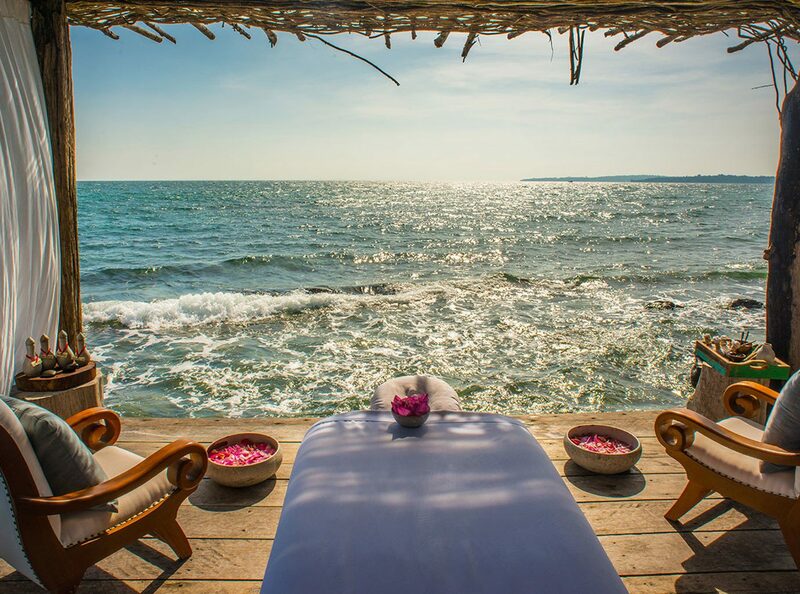 The heated saltwater pool is where you’ll find guests curled up on daybeds with a book or cooling off from the heat, while the spa is the place to go for sea stone massages and aloe wraps. 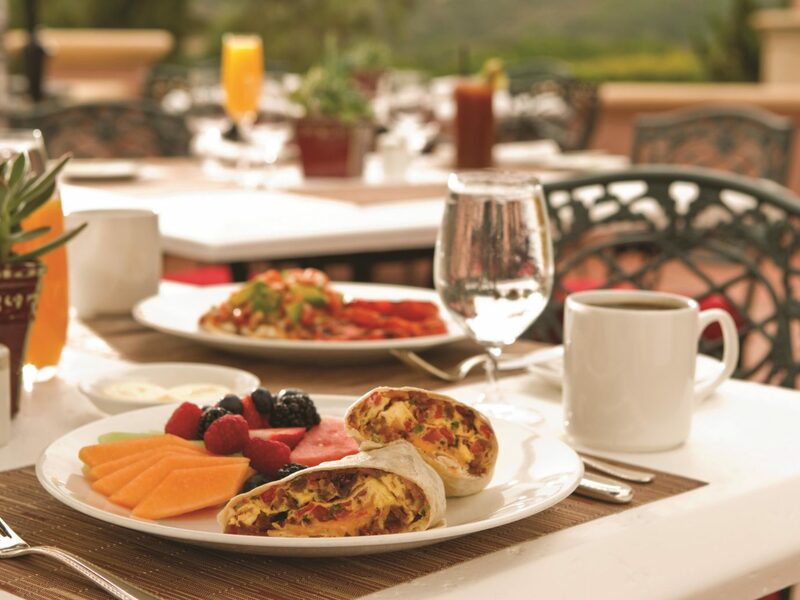 However you choose to spend your time, don’t miss a meal at Mustangs & Burros (seafood-centric bites include sea bass tacos and orange tuna tiradito) followed by drinks at The Library or walks in the adjacent rose garden. 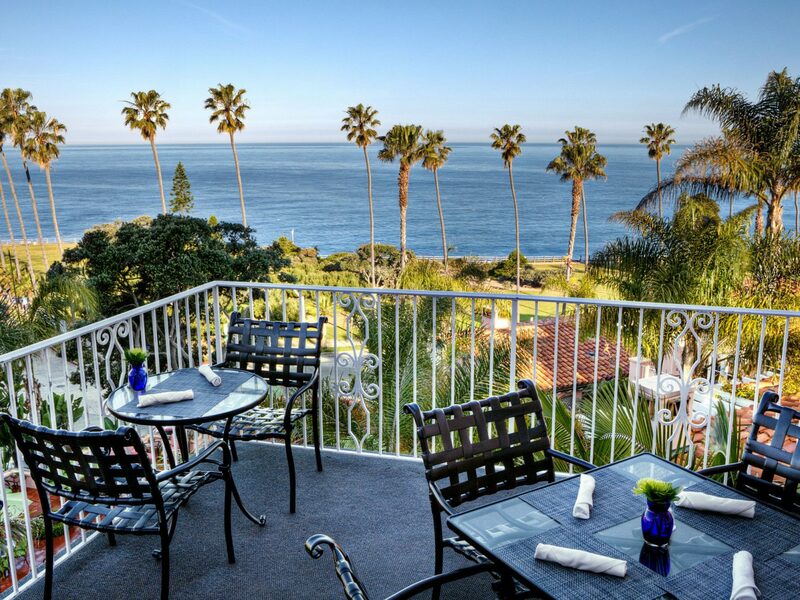 A short walk from La Jolla Shores, Hotel La Jolla may look like a typical hotel chain from the outside, but the interiors are anything but. 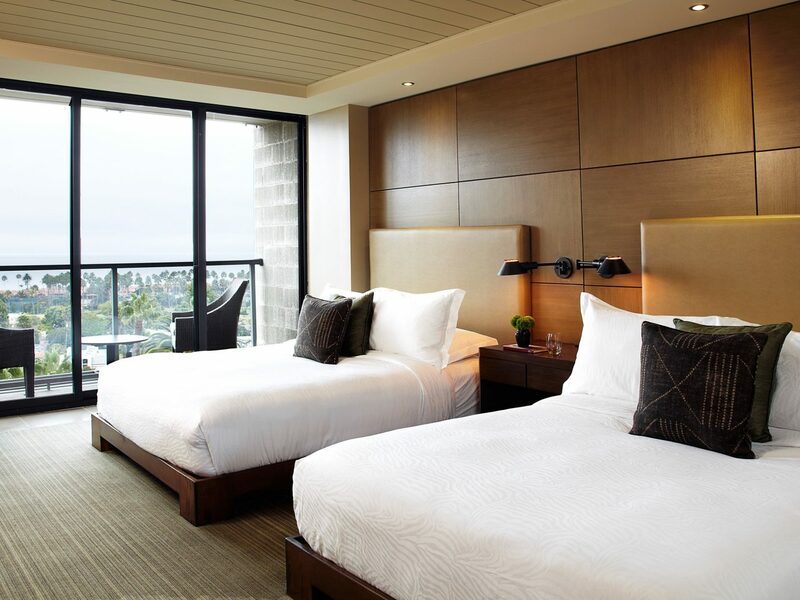 one up in beachy design elements like black-and-white surf photos and Midcentury modern furniture, and every room has a balcony overlooking the Pacific. 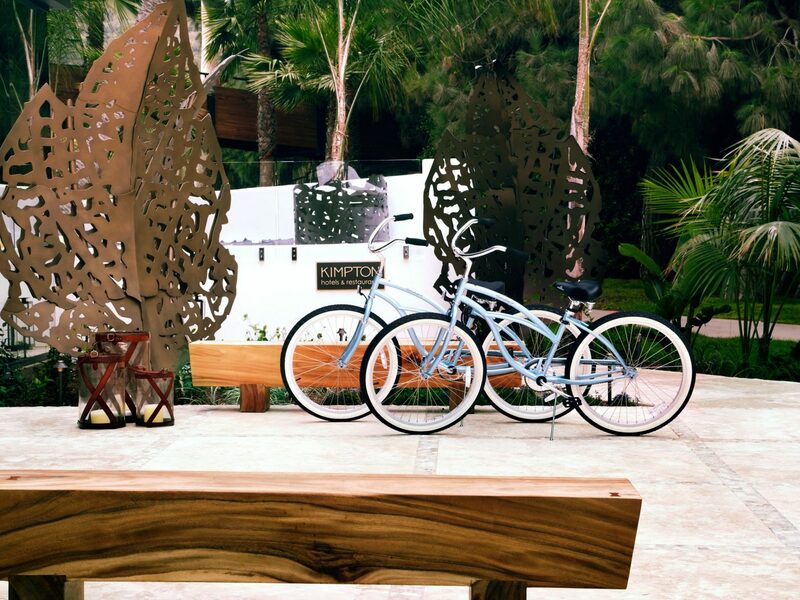 During the day, pack your beach bag, hop on one of the hotel bicycles, and make your way to the the nearby pier. 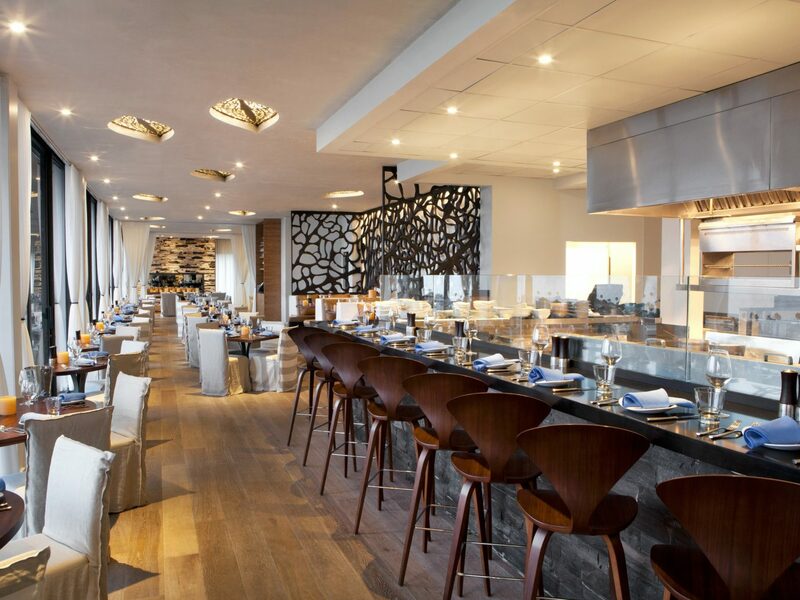 After a day tanning by the shore, get your group together for drinks at the poolside bar, then head to the 11th-floor restaurant Cusp for healthy bites like roasted quinoa or yellowtail ceviche. 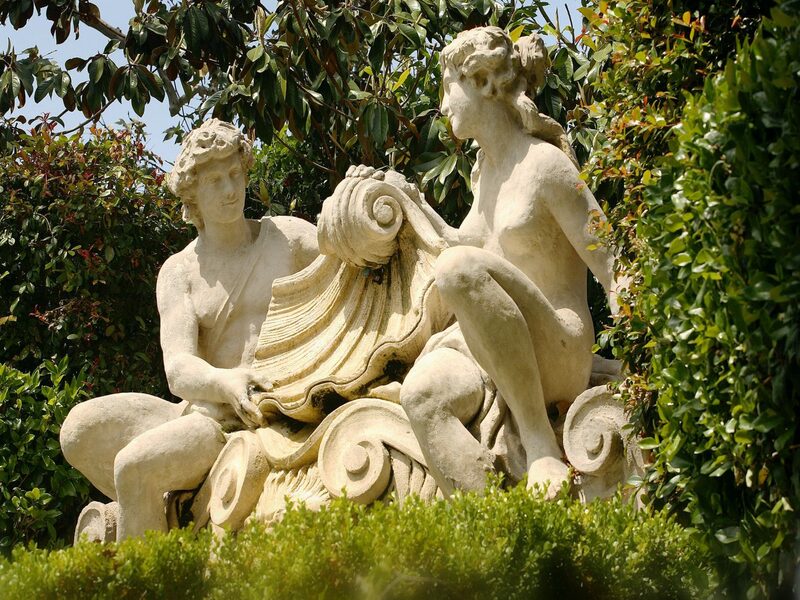 There’s no mistaking the pink stucco walls and Mediterranean-style terraces of this iconic cliffside hacienda, a Hollywood magnet that's hosted stars from the silent era to the present day ever since it opened in 1926. The draw? 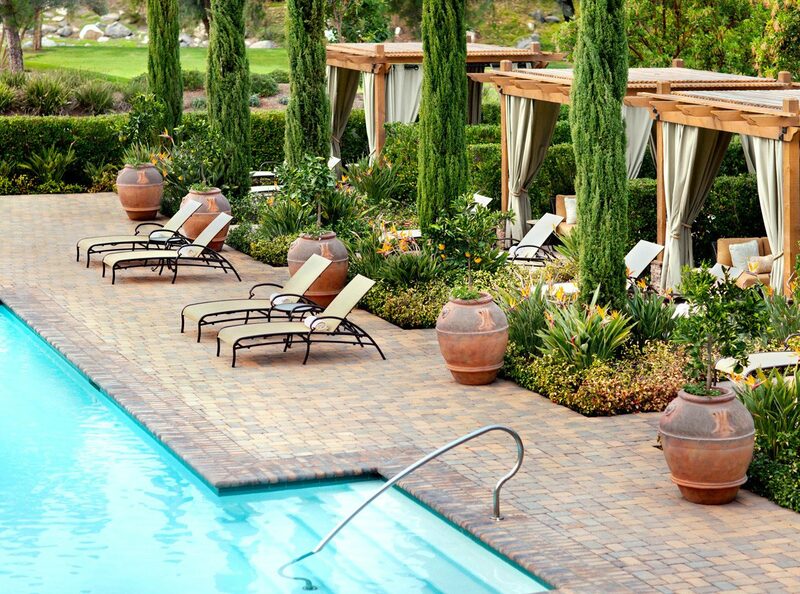 It feels like its own private club, with a level of service not easily found this side of Cali. 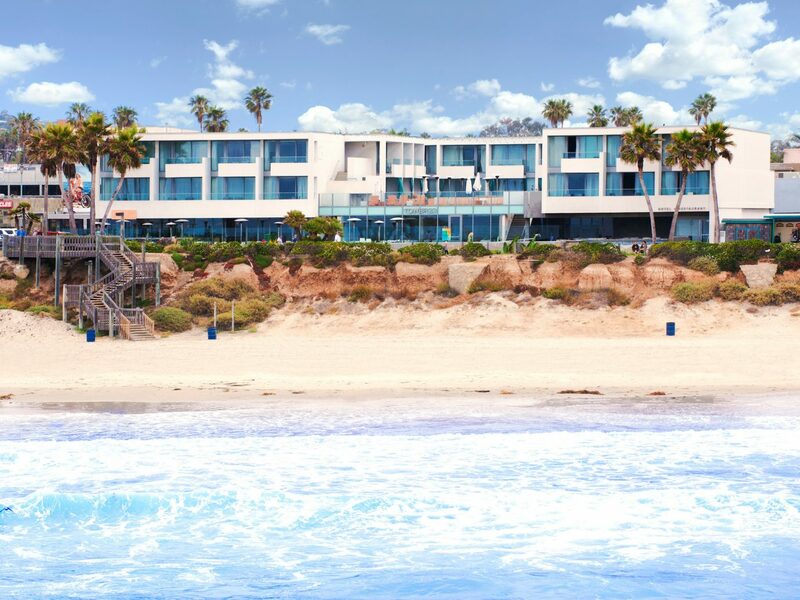 A renovation in 2015 brought in new villas featuring beamed ceilings, butlers (not so common in laid-back SoCal), and, for some, outdoor fireplaces—though you might want to spend most of your time schmoozing over cocktails at the Waling Bar, gazing at La Jolla Cove from the 10th-floor Sky Room, or sunning at the ocean-facing pool. Unlike the city’s design-forward crash pads, the US Grant remains solidly in the past—and we’re okay with that. 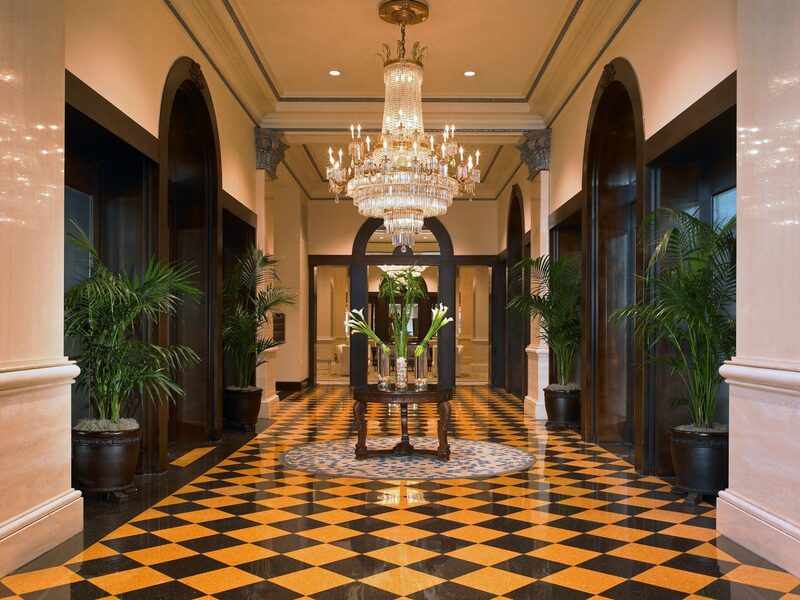 Ulysses S. Grant’s son built this 210-room landmark in 1910, and it has remained a beacon of elegance, tradition, and luxury ever since. 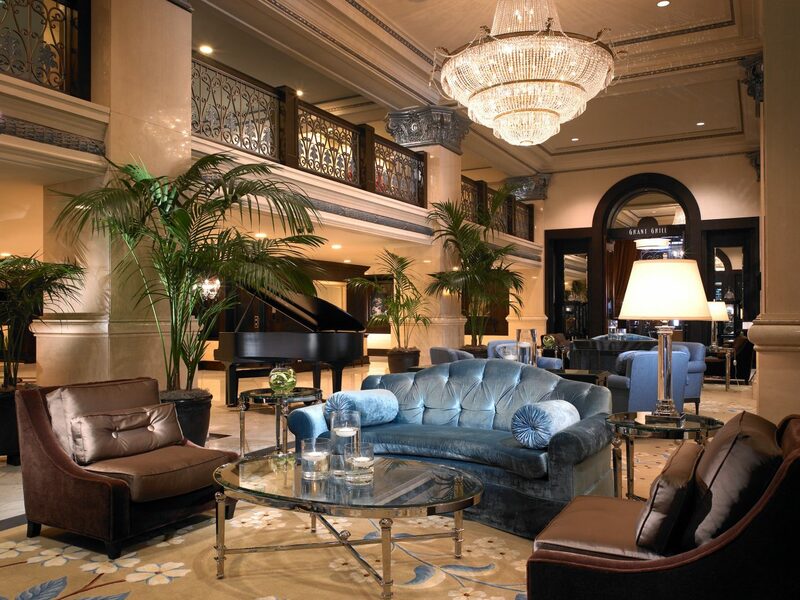 Now on the National Register of Historic Places, the hotel has hosted luminaries of all kind, from presidents to celebrities. 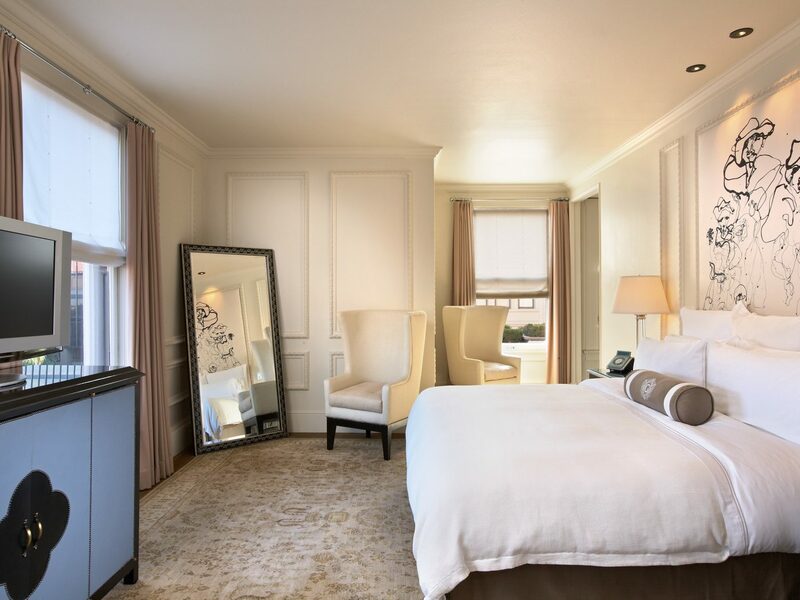 The rooms are classic and bright, with detailed crown moldings, white Italian linens, and original artwork, and the spa is next-level. 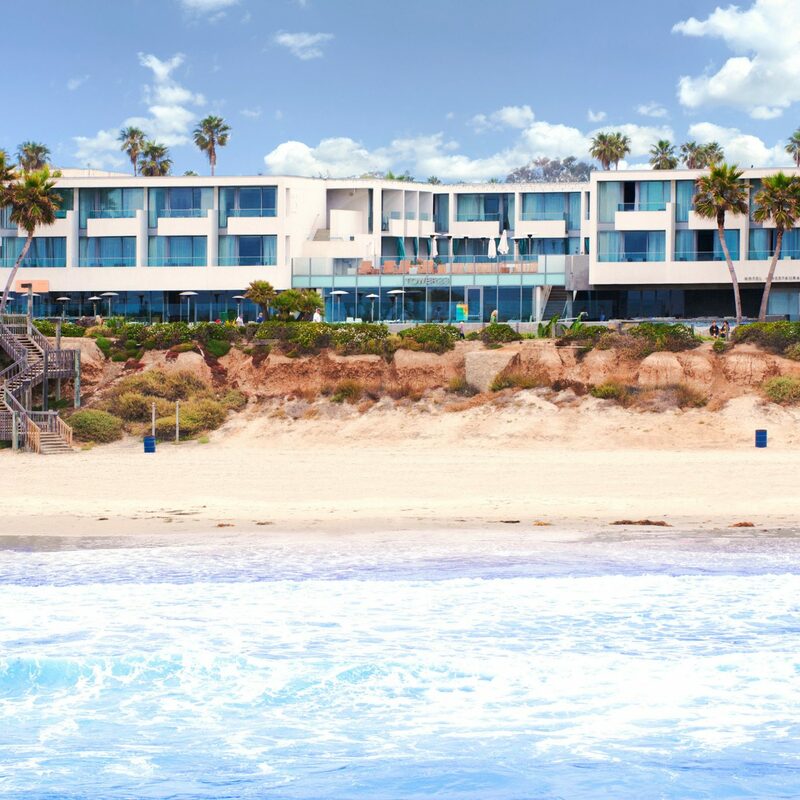 Is Tower23 San Diego’s chicest beach retreat? 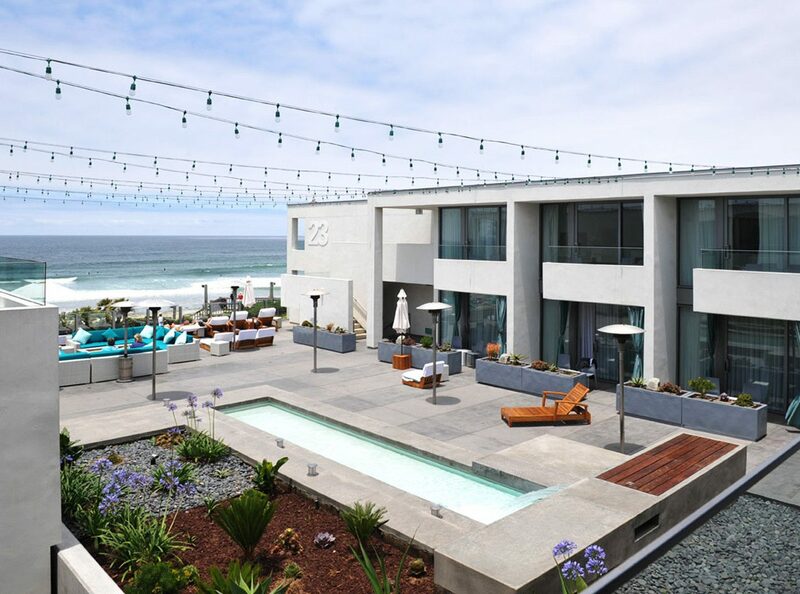 We’ll let you decide: the sleek, minimalist design—stark white walls, Xbox game systems, balconies with ocean views, whirlpools in suites—comes courtesy of architect Graham Downes, who is also behind some of the city’s hottest restaurants and clubs. 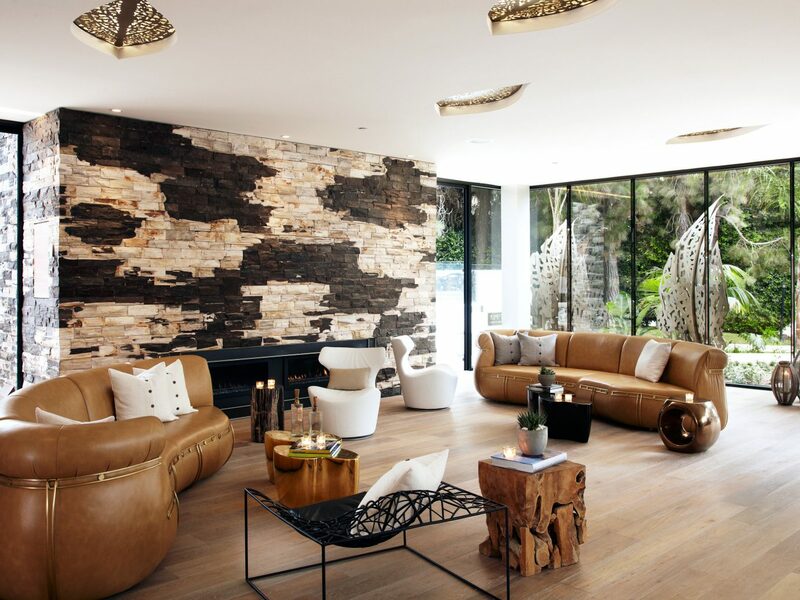 Our favorite design element is the “wave wall,” a nod to the Cali coastline where surfing legends earned their chops that runs the length of the first floor. Jordan’s, the buzzy beachfront bar, is where bronzed beauties and hip young things come to chow down on steaks and tartares while watching the waves come in. 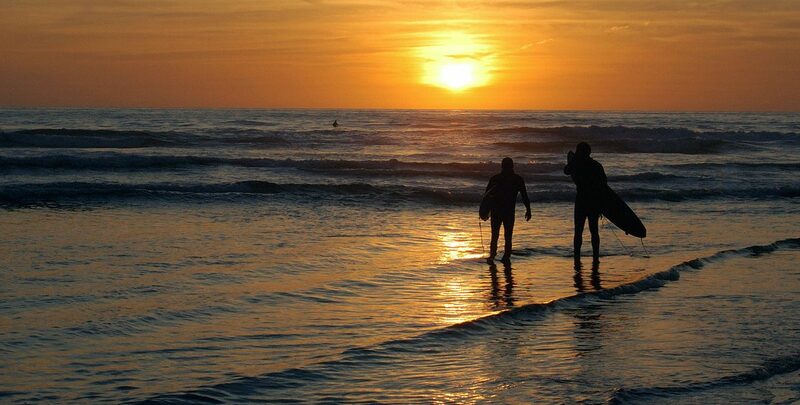 After you get your fill, head down the boardwalk for more people watching.